The October FIDE Rating list has been released on the FIDE website. GM Garry Kasparov's remain steady at 2830 while Vladimir Kramnik continues to tumble deeper into the sub-2800 level (2777 -8). 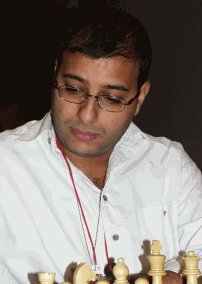 Viswanathan Anand (2768, -8) drops a bit, but may overtake Kramnik on the next list. Russia's Evgeny Bareev has been one of the hottest players of late. He gains a whopping 18 points and vaults in the the #4 position at 2739 replacing Hungary's Peter Leko who drops to #10 after losing 17 ELO points. Alexi Shirov (2737, +5) supplants Veselin Topalov (2735) at #5. Alexander Grischuk (2732), the world's highest junior player, remains steady at #7. Judit Polgar continues to makes history with each ELO point… she is now at a career-high (2722, +4) and an amazing 220 ELO points stronger than the next woman (Maia Chiburdanidze, 2502). Ukraine's 13-year old Kateryna Lahno (2486) unseats Koneru Humpy (2485, +17) as the world's strongest in the under-20 Girls' chart. U.S.A.'s Irina Krush (originally from the Ukraine) is 3rd at 2465. Top Juniors include Grischuk, FIDE Champion Ruslan Ponomariov (2718), the ever-talented Frenchman Etienne Bacrot (2664, +16), Azerbaijan's Teimour Radjabov (2650, +2), and England's Luke McShane (2649, +30). McShane continues his surge to join the world's elite players. In Africa, Morocco's Hichem Hamdouchi still tops the charts (2588, -2). While Hamdouchi's rating has tumbled in recent months, he is still well ahead of Egypt's Fouad El-Taher (2505, 0). Algeria's Aimen Rizouk (2502, +1) holds the 3rd spot. Amon Simutowe (2424) of Zambia and Watu Kobese (2404) of South Africa remain steady and are the top players south of the Sahara. Rising stars Robert Gwaze (2340, +5) of Zimbabwe and Kenny Solomon (2335, +7) of South Africa have risen slightly. Stanley Chumfwa of Zambia saw a hefty increase and has broken the 2300 barrier (2319, +28). African Junior Champion and South African native Johannes Mabusela tallies his 1st FIDE rating of 2297. In the Caribbean, Cuba's Lenier Domínguez (2607, -3) drops but takes the rating lead over Lázaro Bruzon who drops off of the FIDE Top 100 list. Barbados' Kevin Denny (2319) remains the highest-rated player from the English-speaking Caribbean. Askari Elson of Barbados gains (2161, +4), but will edge closer to 2200 after his recent performance at the Central American and Caribbean under-20. In North America, the top player of African descent is Maurice Ashley (2465). Stephen Muhammad gains 12 points and ties William Morrison at 2377. Emory Tate gains (2361, +12) on the strength of his recently earned an IM norm at the CCA International. Michael Schleifer of Canada is steady at 2356. In Europe, Sweden's Pontus Carlsson (2360, -1) and France's former women's champion Raphaelle Delahaye (2189) are players of note.